An outdoor arena based on a floating island at a very high altitude. 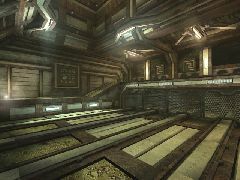 The meteors in quadrant 17 of the Nebula were known for centuries, but it wasn't until the planet Na Pali was discovered that its mysterious capacity to float became known. Many investigations later, scientists are still puzzled as to how Methriril can ignore the laws of gravity and maintain a steady position in a low-pressure environment. This hasn't stopped investors from using it, though. 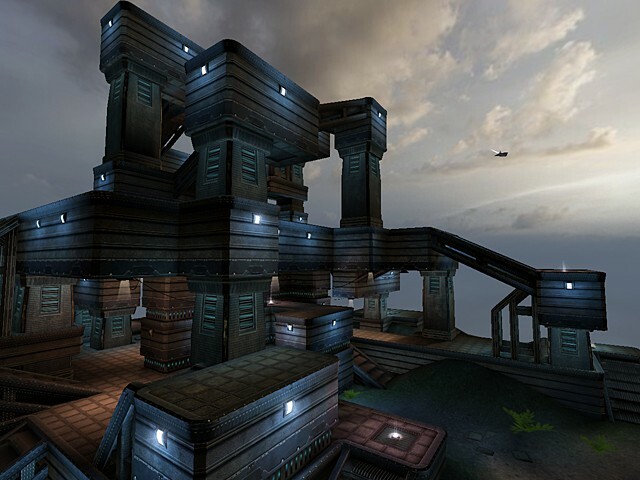 The material is widely used to replace satellites and weather stations...and one deathmatch location for warriors that aren't afraid of heights. 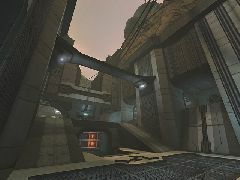 This is a single release of the same map contained in the UCMP3 map pack. If you already have the pack, you do not need to download this archive.